A total of 11.1% adults said they had suffered at least one form of this, while for those aged 16 to 24 the total rose to 19%. The most common form of harassment was receiving unwanted messages by text, email or social media, with two thirds (67%) experiencing this. But 4% of those who had experienced some form of stalking or harassment said intimate pictures had been shared without their permission, 10% said they had been followed and 11% had spotted someone loitering outside their home. And while around half of all victims knew the perpetrator in some way, in two fifths of cases (41%) the offender was someone they had never seen before. The figures were revealed in the 2017-18 Scottish Crime and Justice Survey. Researchers questioned about 5,500 people across the country about their experience of crime. The Scottish Crime and Justice Survey 2017-18 shows a 42% fall in crime over the last ten years. Around 5,500 adults across Scotland shared their experiences and perceptions of crime, including crimes not reported to police. The research aimed to find out about crimes that are not reported to the police, with crimes down by 16% over the year to an estimated total of 602,000. That is a 42% reduction since 2008-09, with figures the lowest ever recorded by the survey, with an estimated 12.5% of all adults being the victim of some form of crime in 2017-18. Violent crime has almost halved since 2008-09, the research showed, falling by 46% to an estimated 172,000 such offences last year. Almost two thirds (62%) of these cases were relatively minor assaults, resulting in no or negligible injuries. But while overall 2.3% of Scots were the victim of violent crime in 2017-18, that rose to 3.8% for those living in the most deprived communities. Fewer than one in 100 (0.7%) of people were the victim of violent crime on more than one occasions over the year – but this group accounted for three fifths of all violent crime. Overall the proportion of violent crime that was linked to alcohol appeared to have fallen, with offenders believed to be under the influence in 46% of such offences, compared to 63% in 2008-09. Property crime, which accounted for 71% of all offending, was 41% lower than in 2008-09, the survey found. And more than three quarters (77%) of adults said they felt safe walking alone after dark, compared to 66% in 2008-09. More than half (57%) said they thought the police were doing a good or excellent job in their area – although this was down from 61% in 2012-13. Over this period the proportion of people who saw police regularly patrolling in their community fell from 56% to 40%. 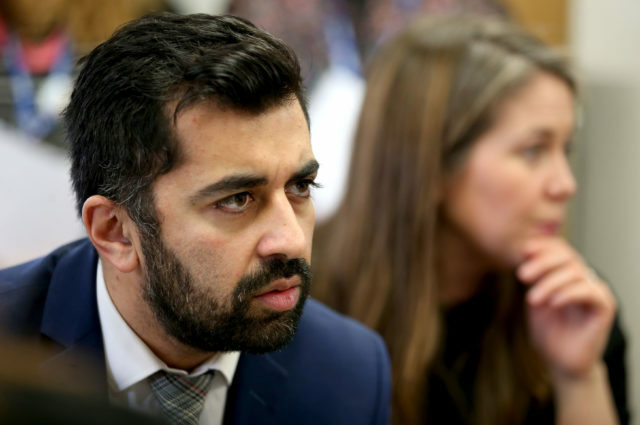 Justice Secretary Humza Yousaf said: “Stalking and harassment is absolutely unacceptable and I am concerned these figures show that young people are more likely to experience this damaging behaviour. Overall the Justice Secretary said the research revealed “encouraging findings on long-term crime trends and how safe people feel in their communities”. Mr Yousaf added: “Tackling alcohol-related harm has been a pivotal part of our pioneering public health approach to reducing violent crime over the last decade and it is heartening to see a fall in alcohol-related violence. Deputy Chief Constable Fiona Taylor of Police Scotland said the survey was “one of a number of sources of information and feedback that allows us to shape our services”. She added: “This year we have set our priorities for the year ahead against an outcomes-focused approach to planning and performance.